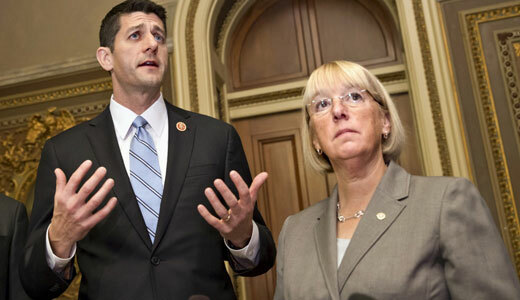 WASHINGTON – The chairs of the Senate and House budget committees, Sen. Patty Murray (D-Wash.) and Rep. Paul Ryan (R-Wisc. ), announced yesterday a budget deal that would increase spending by $63 billion through the end of the next fiscal year and would offset that spending with $86 billion in spending cuts and revenues over the next decade, yielding a net deficit reduction of $23 billion. The spending increase of $63 billion is the total of a $45 billion increase for 2014 and an $18 billion increase for 2015. The proposal needs to pass both the House and the Senate, but already in the House, it is drawing fire from the same right-wing crowd that forced a government shutdown in October. The compromise does not raise taxes on the rich or provide money for rebuilding infrastructure, things backed by Democrats. On the other hand it made no additional cuts in Social Security or Medicare, things Republicans have been pushing for. It also fails to extend emergency federal unemployment benefits for 1.3 million whose benefits expire on Dec. 28. Trying to sell the compromise to conservatives, Ryan said it is “a budget agreement that reduces spending without raising taxes” while easing the pain of “arbitrary” spending cuts of the sequester. “This agreement makes sure we don’t have a shutdown in January and that we don’t have one next October,” said Ryan. Many progressives, of course, are also unhappy about the deal. “There is no reason to cheer an agreement that requires unwarranted pension cuts for federal workers, including VA nurses who earned that pension, underfunds nutrition programs and fails to extend assistance for the long-term unemployed,” said National Nurses United co-president Jean Ross, RN. 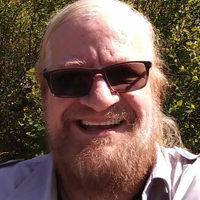 “Austerity budgetting, reflected in this latest deal, continues the disturbing focus by politicians in both parties in Washington, who should be fighting for jobs at living wages, restoration of the disgraceful cuts in food stamps, healtcare for all, housing assistance, and other human needs, not simply how to please Wall Street ande the banks,” said Ross. Richard Trumka, president of the AFL-CIO said that while the deal “provides temporary relief from sequestration budget cuts over the next two years, it does not represent the clean break with austerity that our economy so urgently needs. 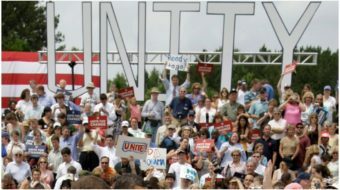 “It is shocking that the Republicans have refused to include extension of unemployment benefits in the budget,” he said. Murray herself wanted to go further than the deal she ended up signing off on. “I was disappointed that we were unable to close even a single corporate loophole,” she said, when she discussed the deal after it was announced. On unemployment benefits, Murray said House and Senate leaders would “continue to talk.” She did not say whether there would be any separate votes on the extensions, however, raising speculation that any extension of benefits was already dead.